26th NOVEMBER 2009 - 21:00 h.
“new york zero zero” (Original text & voice by François Bon with English subtitle) 21 minutes. Movie realized in New York and surroundings. My regard paces the desert city, under snowstorm. This film shows New York as a devastated world after an upheaval. 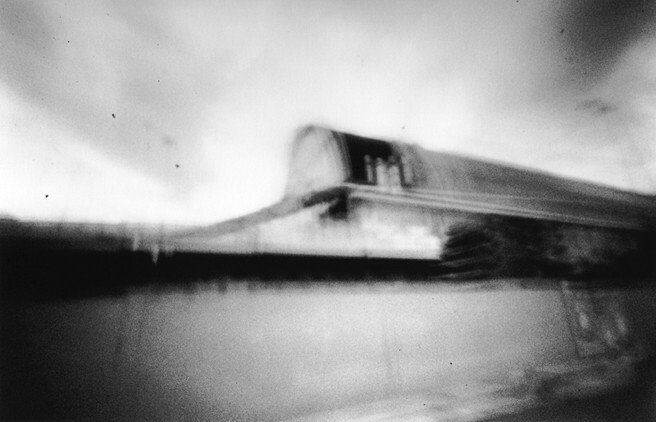 Filmed with a homemade pinhole camera (35mm camera), the city seems broken, abandoned. I am questioning « How live the city nowadays ? ». Portrait of Amsterdam city through a filmed visit of building sites: the cinema of the Maison Descartes; the Rijksmuseum; the Stedelijk Museum Amsterdam; and the W139. This visit is confronted with a poetic vision of the urban spaces public or private of the city and its surrounding areas which I plan to film in parallel These two visions are closely linked by common poetical constituents which become evident during this mysterious stroll in a city in construction, definitively oriented towards its future.